Direct Cremation is crematory and medical examiner's fee. This plan includes the transfer of the deceased from the place of death to our Funeral Home, procurement of all necessary paperwork, preparing your loved one for cremation and the returning of the cremated remains to the family within 3-5 days. Call us for immediate service. A Full Service Cremation Service would include full preparation of the body for a public visitation hours in a cremate able casket (i.e. wood or other composite material), public gathering prior to going to a church service or funeral home service, procession to church or cemetery for a service, church or cemetery service. 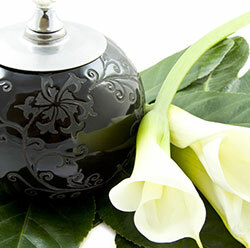 This would include all the elements of a traditional funeral service. Cremation with Memorial Service where the cremation takes place and then there is a service in our Funeral Home or your Church with or without the remains being present. Cremation with No Services at the time of death followed by a memorial service at a later date, when the family can gather. We can accommodate most combinations of services. If you have questions and want more information please call us at 617-387-0506 or Contact Us Here.